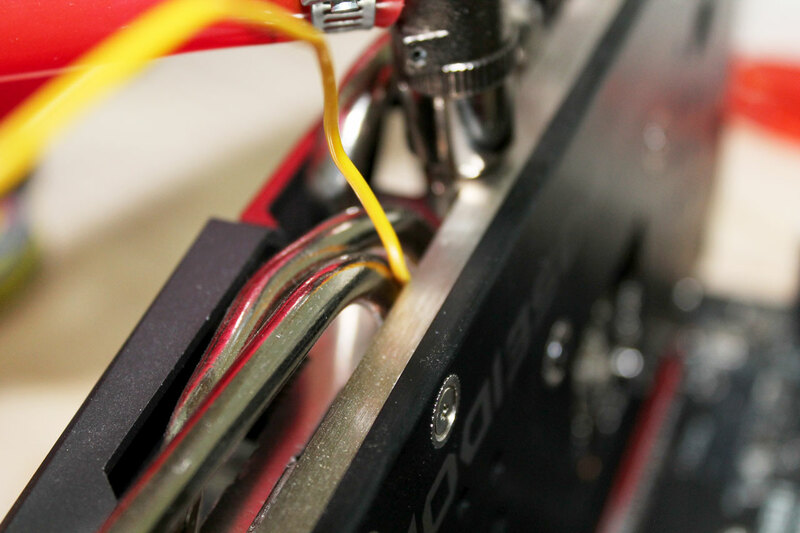 Often when we are engaging with the guys and girls at our live overclocking demonstrations the question is asked is if it is worth the effort and cost to cooling your VGA card with an after market cooler or custom water loop. With the release of the ASUS Poseidon Platinum GeForce GTX 980 DirectCU H20 late last year we thought it was about time to test and and have the right answer to the question. The ASUS Poseidon GTX 980 comes fitted with the DirectCU H2O cooler. 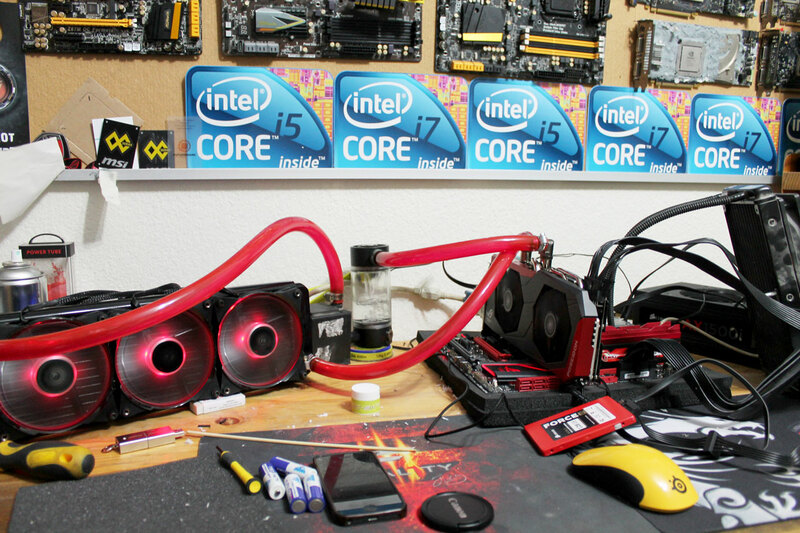 This cooler (reading the marketing materiel) is 2X cooler when using water cooling and 15% Cooler with air. We do not have a normal “non” H20 DirectCU cooler to test and compare against so we will not be able to give you those numbers so for this round of testing we will only be focusing on the difference between the DirectCU H20 with and with out water flowing. Our test setup comprises of a ASUS Maximus VII Hero with an Intel core i7 4770k processor, 2 x 4GB 2666Mhz G.Skill TridentX memory modules, Corsair Force GS 128GB SSD and the power is delivered by a Corsair AX1500i Power supply. The CPU is cooled buy an old H100 with only two fans in the push configuration. The CPU was slightly overclocked to 4.4Ghz but that’s not relevant to this round of testing. For the water loop we used an EK DCP 4.0 pump connected to a triple rad with 6 fans installed in a push/pull configuration. The DCP 4.0 pump has a maximum flow rate of 800 L/h and is on the cheaper side of what EK have on offer. Our test methodology was really straight forward. 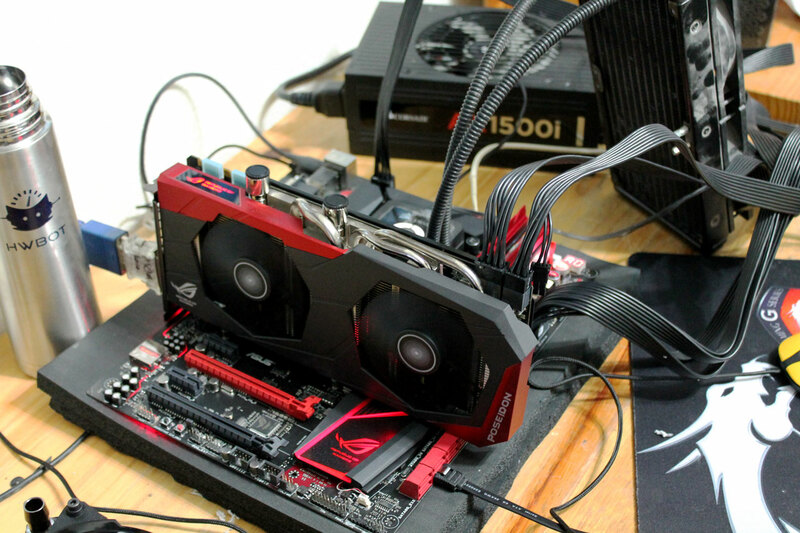 The ASUS Poseidon GTX980 preformed very well in comparison to the other GTX 980 cards that we have tested. The memory easily reached 2000Mhz and was able to keep these frequencies for the duration of the testing regardless of the cooling method. The GPU frequency was a little different and heat played a role in what the maximum the card could maintain for the duration of the testing. At the start of the AIR cooled testing card could complete a test or three at 1500Mhz but it could not run these frequencies for the full two hour duration. In the end after a grueling round of testing 1465 Mhz was the highest stable frequency we could use for the full duration. 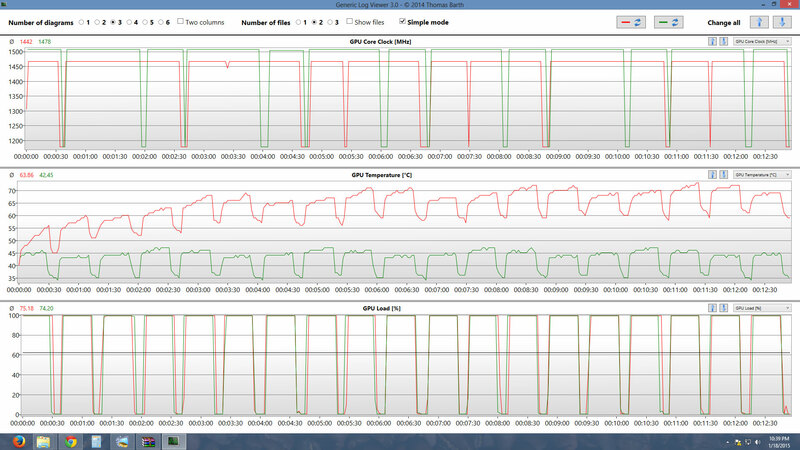 In the data below the Air cooling data is in RED and Water cooling data is in GREEN. We only selected a twelve and a half minuets window out of the log files that closely matched the load times in 3DMark FireStrike. The dips that you can see are the loading time between tests and is perfectly normal. The GPU temperature data is what we are interested in and straight away we can see the difference between the two cooling methods. Being cooled with AIR the GPU temperature increased test by test and peeked at seventy three degrees and was unable to recover quick enough to maintain a temperature below sixty degrees. In contrast while the water loop was switched on (and with the card running a higher frequency) the maximum temperature was only forty seven degrees. That’s a difference of twenty six degrees. What we were really impressed by is the difference in temperature of the whole card. let me explain, during the testing we monitored the temperatures with a K-Type temperature probe connected to our trusty fluke 52 and we were able to keep an eye on the rest of the cards temperatures . The one probe was connected near the top of the heat pipe and the temperatures were similar to those recorded in GPUz. The other probe was placed at the back of the card along the heat sync near. Now this is where is started to get interesting for us. With air cooling just like the graph the temperatures of the WHOLE card increased at the same rate as the core. This is the reason we believe we were unable to run the card at over 1500Mhz for the two hour test period. When the loop was running the temperature of the top probe never passed forty five degrees and the back probe never passed fifty degrees. 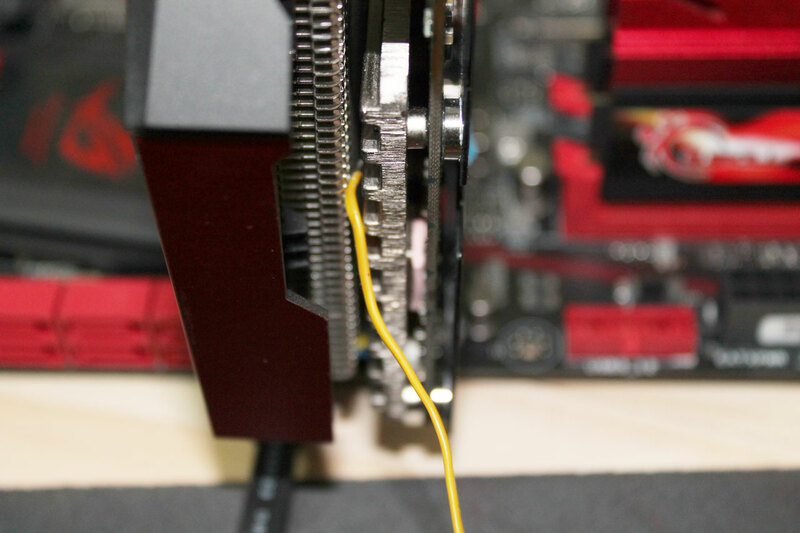 This is where we think the biggest advantage of running a custom water loop on your video card can be found, by keeping the operating temperature of the whole card low the stress on the components is dramatically reduced and in turn should prolong the life span of the card not to mention the gain in raw Mhz. In conclusion after using the ASUS Poseidon GTX 980 there is no doubt, the advantages and cost of water cooling your card is well worth it. 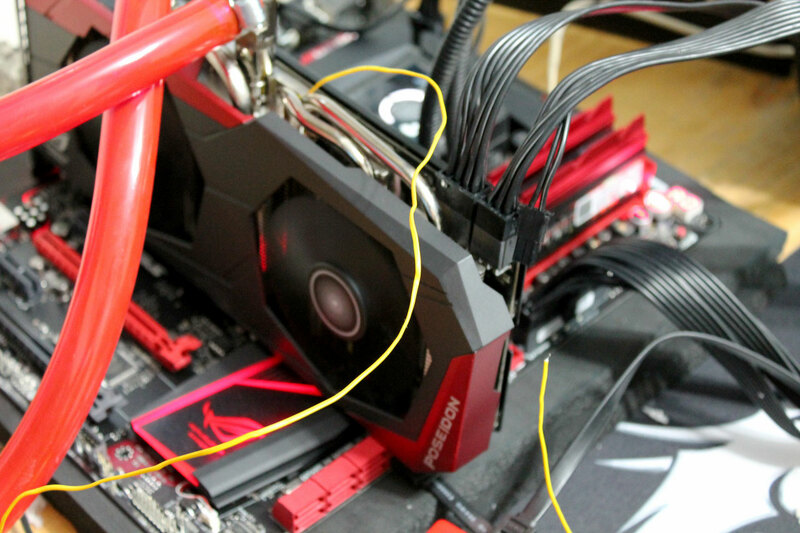 The advantage of a card like the Poseidon is that you the freedom to choose the method of cooling right out of the BOX. 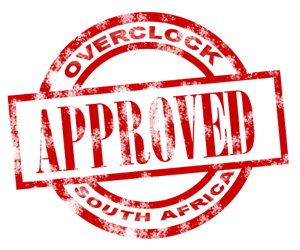 The ASUS Poseidon Platinum GeForce GTX 980 DirectCU H20 is most definitely approved by overclock South Africa and we can (and do) with out hesitation recommend this product. For more information about the ASUS Poseidon GTX 980 Please visit the official product page. If you are a fan of ASUS products we recommend that you go like ASUS South Africa on facebook to stay information about new products and competitions. This entry was posted in Product testing. Bookmark the permalink. Dude, awesome review. I had no idea about this site 🙂 Will visit it more often.